With Thanksgiving and Christmas just around the corner you’ll want to start planning the holiday feasts and holiday party. What is a holiday meal without delicious holiday treats, Christmas desserts, and Thanksgiving pies? Pumpkin pie in particular. 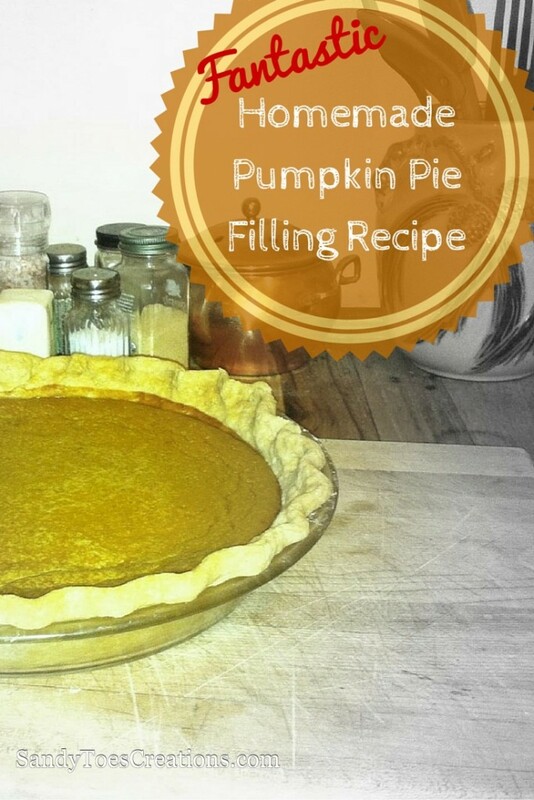 Have you ever wanted to try making homemade pumpkin pie from scratch? I found a good pumpkin pie recipe and have simplified it. It really is easy to make DIY homemade pumpkin pie filling. I’ve always preferred canned pumpkin pie filling with just a bit more pumpkin pie spice added (I guess it’s just what I was raised with. I’m used to the texture and flavor), but this homemade filling is delicious, and everyone I know that has tasted it absolutely Loves it! And always asks for the recipe. For years I avoided ever attempting a homemade pumpkin pie filling because I thought it had to be hard and very involved, but it’s way easier than you’d ever expect! Pie Pumpkin, smaller than a typical jack-o-lantern pumpkin, about 6-8 inches in diameter. Rinse pumpkin clean, cut off top, scoop out insides (just like at Halloween), cut into 2-4 pieces. Use a sturdy spoon, such as an ice cream scoop, to scrape all remaining stringy stuff from the “meat” of the pumpkin. Put in microwave (yes, microwave! Told you it was easy!) in a microwavable bowl such as a glass casserole dish with lid, in two inches or so of water for 15 minutes on high. Repeat in smaller increments of time if needed until soft enough to scoop innards out. Sometimes the “meat” falls right off the skin! Puree in blender, who knew pumpkin puree was so easy to get, right?! Should yield about 3 cups or so. Mix all ingredients in mixer or with hand blender. Bake at 425 F for 15 min, then turn down to 350 F for another 50 min. A knife inserted in the center should come out clean. Cool, top with whipped cream or vanilla ice cream and eat! Yum! My mouth is watering already! That’s it! It’s so much easier than you could have imagined to make delicious homemade pumpkin pie filling! Everyone will be in awe of how much work you did and how wonderful this Thanksgiving pumpkin pie tastes, and aren’t you just fabulous?! Just smile, nod and enjoy! Follow L. E. Mastilock’s board Holiday Eats on Pinterest. Sounds good! We have to make our own puree as it’s way too expensive and hard to find over here otherwise. We haven’t tried pumpkin in pancakes – I’m sure the kids would love it! We’ll try it out soon.